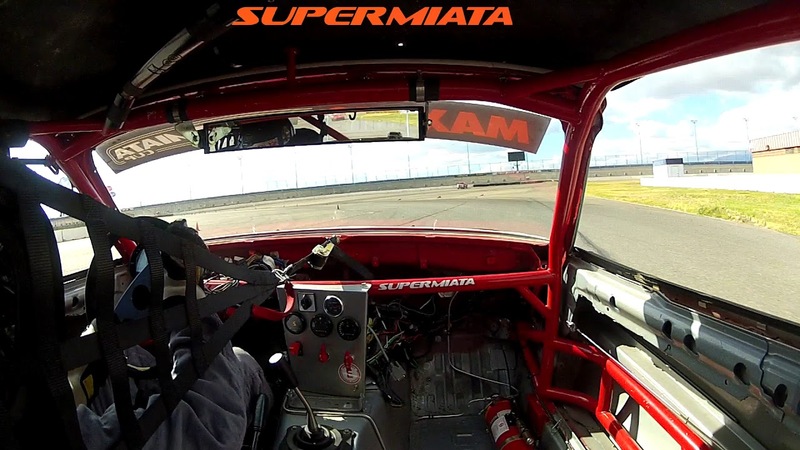 Supermiata S1 - TrackHQ.com, the Web's leading forum for track day enthusiasts, racers and time attack drivers. For 2017 we have added the turbocharged S1. S1 adds a Trackspeed Engineering EFR6258 turbo kit, big wing, splitter, 6 spd trans, 15x10 wheels shod with Maxxis RC-1 245/40/15 and allowances for more creative cooling mods up front. S1 builds crossover to NASA ST4 almost directly. Turn the boost up a bit for ST3 or ST2. ST4 seems to have the best fields. Currently 6 cars built for S1, more on the way. 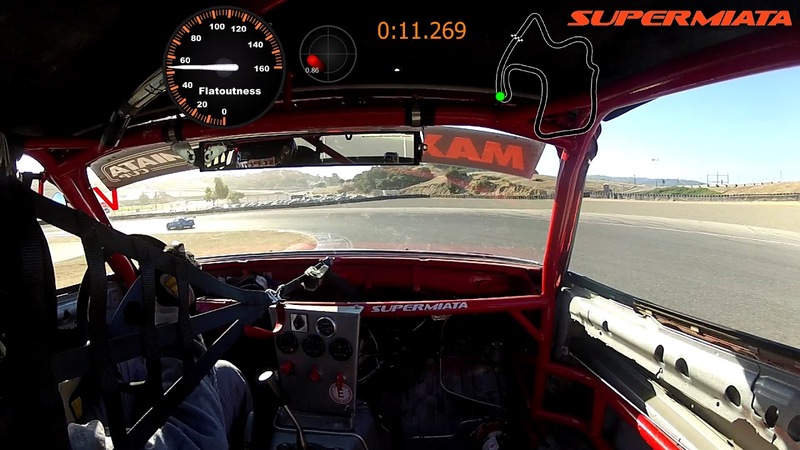 S1's are about 10s faster than Spec Miata lap records. Andrew Kidd, owner of Trackspeed Engineering's "Rover"
Last edited by emilio700; 10-10-2017, 07:08 PM. Why did you decide to go with VR-1s instead of RC-1s? At 10sec faster than SM what are you doing about brakes? There's also a spec BBK for the class. Not spec brakes but we do have some cost containment features. I thought that might be the case but with Spec Corvette running a street tire I figured VR-1 wasn't entirely out of the question. You guys have done an excellent job with supermiata. The cars look racy. That's how a miata should look. This is from race 1 last Sunday. After the quick SuperSprint we reform and invert grid on the cooldown lap then run another SuperSprint. This is the format both days with initial grid being set by individual qualifying Saturday morning. Andrew and I had a good battle. His car was a bit freer, getting a bit better mid corner grip. Mine set up tighter so tippy toe mid corner but coming off turns much better. At ACS, my set up proved more raceable and quicker. At a more turn-y track like Buttonwillow or Chuckwalla, I think his set up would be better. We did high 1:48's in the race, 65° ambient. That without an ACS specific setup which we were all too lazy/busy to do. That would mean lower ride height, lower splitter, a bit of wedge, car tilted to left, more RF camber, no Gurney flap. Probably worth .7 to 1.0s if we did that. The cars don't have huge top end speed because of the relatively wide tires and aero but they launch off low and mid speed turns like a rocket. They drive like the S2's just a bunch faster. I find myself taking more of a "V" line in some turns. So instead of going in super hot and looking for highest min corner speed I overslow maybe 1-2mph to rotate more mid turn so I can line up the exit and get back to WOT sooner. Sort of the same thing you do in grip limited cars with a lot of power. Not that the S1's are severely grip limited, just that they launch off the turns so well. Our initial setup plan proved to be spot on. The cars have a perfect balance between stability, agility, power, brakes, aero and mechanical grip. A very natural and intuitive feel. Easy to drive once you calibrate yourself for the speeds. Those coming from faster cars will find them easy to drive at the limit. Those coming form lower powered cars might need a few weekends to get used to the power over steer available through the top of 4th gear. But that's a good thing. A very good thing. Last edited by emilio700; 11-08-2017, 10:03 AM. William and I had a great battle in Race 1 this last weekend. Started P2, fought my way into the lead. Had some transmission troubles which dropped me back to 4th. Trans came back to life so I chased my way back to get 2nd right at the line.